My Chinese Classroom is a unique series that has been specifically designed for working foreigners in China, but that doesn't mean only they can use it. My Chinese Classroom elementary series consists of 3 volumes, 10 courses in each volume, explained with English and Japanese. The intermediate level includes 3 volumes, 10 lessons for each volume, including about 900 new words and 140 grammatical points . We only sell elementary level online. 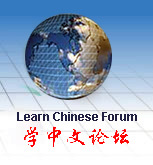 Schools are welcome to contact us to order intermediate level of My Chinese Classroom. All the books list below are mandarin Chinese with simplified character.